1967 was a breakthrough year for Valentino Couture. The young designer was already the toast of the Italian fashion world, with a client list that boasted royals, A-list movie stars, and a certain legendarily stylish former first lady. But it was with his Haute Couture Spring/Summer 1967 collection—now celebrating its 50th anniversary—that Mr. Valentino made the scope of his ambition clear. The garments he created that season were sui generis—eye-popping looks in mod, A-line silhouettes that incorporated unexpected Middle Eastern, African and Indian elements, to soigné effect. Jackie Kennedy loved the collection so much, she ordered a dozen dresses. And Mr. Valentino loved it so much, he carried forward many of its themes into his next collection, the equally iconic Haute Couture Fall/Winter 1967/68 outing. Gian Paolo Barbieri's campaign photos for HC Spring/Summer 1967 matched Mr. Valentino's clothes in ambition. 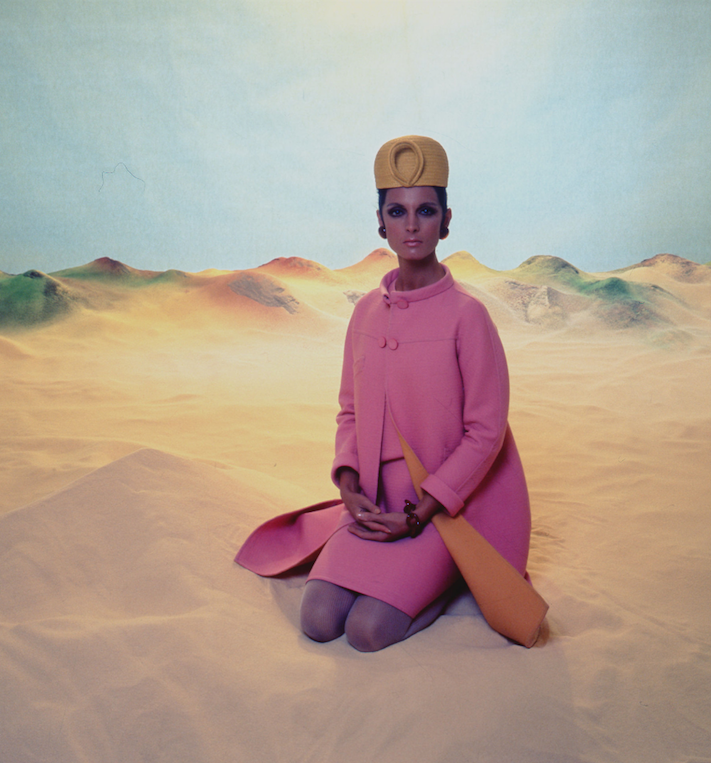 Riffing on the collection's globe-hopping references, Barbieri seemingly sent the ultra-chic Valentino woman to a forlorn desert, with Mirella Petteni Haggiag posing alone amid dunes that might have been in Morocco, but equally so, might have been on Mars. There was something of the era's space-age obsessions in his surreal, hyper-saturated images, which are reminiscent of both "Star Trek," a show that debuted on American television in 1966, and Barbarella, which Roger Vadim was shooting around the time that the magazines featuring the Barbieri campaign landed on newsstands. The photographs were very much of their time, in other words. But as the last half-century has proven, they were also timeless—and they set a benchmark for conceptual fashion photography that has only rarely been matched since. Before 1967, and the double-punch of the brilliant Spring/Summer couture collection and its directional campaign, the world knew Mr. Valentino has an enormously talented designer. Afterwards, they knew him as a genius.